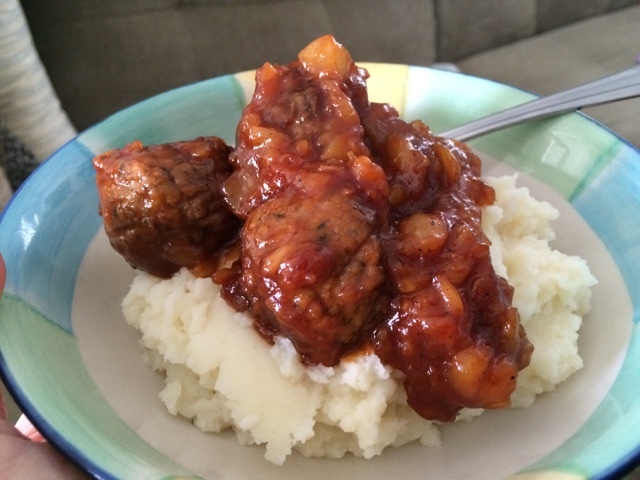 Gardein vegan meatballs simmered in BBQ sauce and pineapple over instant mash. Quick and easy lunch! Looks delicious as always! BBQ sauce and pineapple sounds like an interesting combo!